Today we are in Capernaum where Jesus said: “Eat My Flesh and Drink My Blood.” I thought it appropriate that I post this challenge today. Is that true? My friend Gary Michuta answers the question. Thanks for including me in on this conversation. Brian, there are three issues that commonly trip up non-Catholics when they read the early fathers on the Eucharist. 2) This ball is round. When an early father says that Eucharist is a symbol, it is not necessarily contradictory since the Eucharist can be both a symbol and the reality of Christ’s body and blood. A statement that would contradict Catholic teaching would be The Eucharist is ONLY a symbol. This brings up the second stumbling block. Catholic teaching on the Eucharist is much more complex than saying it is Christ’s body and blood (as you know). It is a Sacrament, which is a visible sign (symbol, type, figure) that points to an invisible reality (Christ Himself). Many non-Catholics are surprised that the Catholic Church teaches that the Eucharist is a symbol (in regards to the Sacramental species or its outward appearances). The Council of Trent, for example, said, “This, indeed, the most Holy Eucharist has in common with the other sacraments, that is a “symbol of a sacred thing and a visible form of an invisible grace (DS 1639). It elsewhere says that Christ “offered to the Father His own body and blood under the species of bread and wine, and under the symbols of those same things gave to the apostles… so that we might partake.” (DS 1740). The old Roman Catechism (the Catechism of the Council of Trent) speaks in the same way. When the early Fathers speak of the Eucharist in terms of its species (mode in which it is given to us), it is correct to use terms like symbols, figures, types, and the like. However, when one is speaking about the invisible reality of the Eucharist (Christ Himself) we cannot speak of it as a symbolic (see DS 1651). The third stumbling block, which this author seems totally oblivious, is the fact that the early Fathers interpreted Scripture according to a four-fold sense (literal, allegorical, moral and anagogical). Protestantism recognizes only one sense of Scripture, the literal (ala the Westminster Confession, 1, 9). There were schools in the ancient Church that specialized on these different senses. Antioch was known for its literal interpretations. Alexandria was known for its allegorical interpretations. It’s not surprising that the two examples the author gives as being most surprising to Catholics are Clement and Origen. What a shock! They both taught in Alexandria and both are known for their allegorical interpretation. The quotes he gives shows very clearly that they are not talking about the literal sense of Christ’s words, but the allegorical (or perhaps moral/spiritual sense). But this sense tells us nothing about what the Eucharist truly, literally, is. The Eucharist is both a symbol and IS what it symbolizes. Thank you….I look forward to your Facebook postings/readings…very insightful and helpful. STEVE RAY HERE: Though I disagree with much of the comment below, I am allowing it for the sake of discussion. There were schools in the ancient Church that specialized on these different senses. 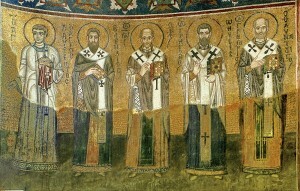 Antioch was known for its literal interpretations. Alexandria was known for its allegorical interpretations. The Antioch literal interpretation is right and the rest are wrong. Moreover the Apostles’ home base of operations was at Antioch. Origen’s background is a suspect and ERROR using Allegorial system. Allegorical Bible interpretation is fairly widespread, particularly in Charismatic and Pentecostal churches. I have seen it used to make the Bible say things which the text was never intended to say. I have seen this approach used to invent or justify all kinds of spurious theological ideas and I have seen the detrimental real-world consequences. Allegorical interpretation ignores the grammar and original context of the Scriptures, which is why it must be rejected as a valid method of interpretation. It is simply unverifiable. In other words, no person using the allegorical method can honestly and logically affirm that his or her conclusions are actually based upon the text that is being interpreted. 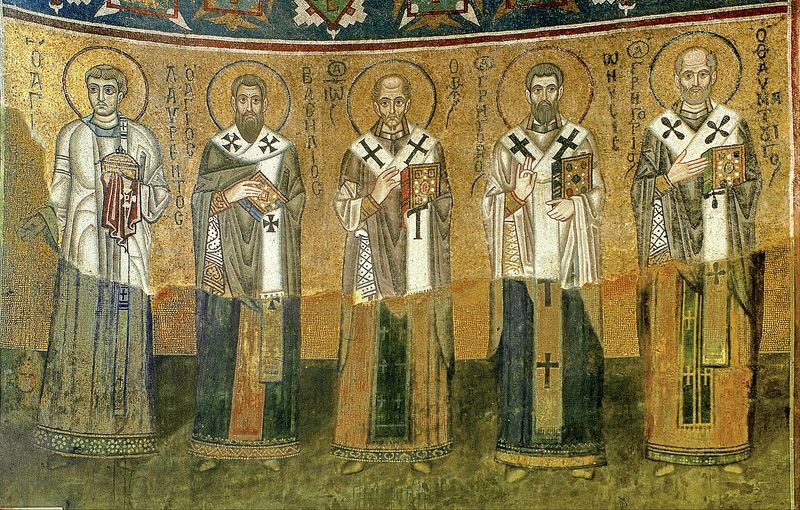 “The Antioch literal interpretation is right and the rest are wrong.” On what authority? Please list some examples of what you mean in the last two sentences of your second paragraph. Great post, Steven. Thank you for sharing this nugget of the true teaching of the Church. First, can you provide another example of where language signifies both the symbolic and the reality of a thing? Second, would you please correct the spelling of “complimentary”? It should be “complementary”. As far as I know, after completing His mission on earth, Jesus is now at the right hand of the Father interceding for us as our heavenly High Priest (Hebrews 4:14-16 and 7:25). One of the purposes of the Eucharist is to re-tell the message of the Lord’s death of Christ until He returns (1Corinthians 11:26). We can’t bring His body back down from heaven to reenact the crucifixion (Romans 10:6). It’s done. His Spirit from heaven, which was sent to us at Pentecost, is His presence within us (1John 3:24). Revisiting Scripture is helpful for putting things into perspective.